An epic day when an old spot X producers some nice fish to save the day. With a nice day on the cards the plan was to take the little fc430 for a run along the bays, with the built in livebait tank in the little fc yet to be christened the plan was to full it up with Mac's for fresh baits through the day. We were hoping the little workups along the Bays were still there for a bit of a troll around with the lives and if that failed we had a couple of big berleys we would drop and draw fish in. We were keen to just fish livebaits for anything that would take them, Johny's, Kings or Snaps it was more about a bit of fun fishing for the day. Launching from little Waiake around 9.00 we made our way out of the bay in stall calm conditions, there weren't any signs of the workups we were hoping for only a few Terns dive bombing every now and then. There was a little bit of sign on the Lowrance so we drifted for awhile trying to pick up some fresh Mac's, there wasn't a lot of action but after about half an hour we had a few in the tank. The built in tank worked a treat on the little fc and with the Terns still bombing away with schools of what looked like white bait coming up every now and then from being chased by Kahawai we decided to troll a couple of Mac's around. We slowly trolled for about half an hour with no joy so plan B was to anchor up in hope to berley up a storm and bring the fish in to our livies, we were going to see what would turn up for us in the berley trail. Once again we had little joy with only a couple of small Snaps on cubed fresh Mac's. Sitting there for a good hour we hatched plan C - head out to the middle of the inner Gulf (old school spot X) Pea and I have fished this area since the early 90's with some solid fish to 15lb being caught over the years , we haven't really fished it for awhile so it was going to be interesting if it would still produce for us today. Years ago we never use to use berley as the fish just seemed to be there but in our days it has become our number one ingredient for straylining. We have caught all sorts in this area from Snaps, Kahawai, Johny's, Gurnard and Kings and I even remember one season catching Skippies here. At first it started with a few pickers but moving to our harder baits (fresh Mac's cubed or cut in half) it didn't take long for the berley to kick in and some better models to turn up. 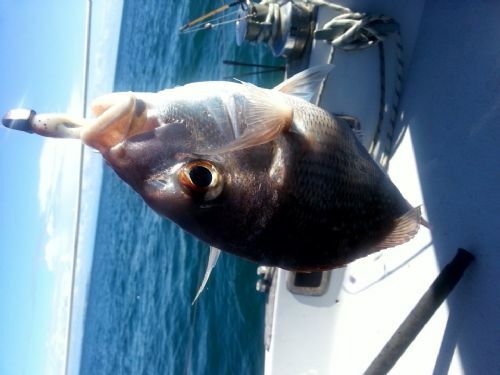 Harder baits like fresh Kahawai or Mac's can be gold when fishing the inner Gulf, there are hundreds of small fish this time of year that love to peck at your bait. When using these harder baits like fresh Mac or Kahawai I just let the little ones peck at it, this commotion going on and bigger fish can't help them selves and come barging in and knock the smaller fish out the way and smash your bait. Those harder baits just give you a lot better chance in hooking something decent most times. With the berley pumping and fishing fresh Mac's we started to get those better grabs in between the nibbles, then the nibbles died away to a few nice hits. Pea was first to hook up to something better then again and again and again - I was getting smashed also occasionally but just kept dropping them. It was a little frustrating with another nice 60cm fish being boated by Pea - I don't actually mind to much if I'm not catching and someone else is this is what fishing is all about for me these days, bringing someone out to have a magic day on the water. In the end I did manage to hook a nice fish, by it's mouth - no foul hooked :-) at least I got something in the end well maybe a couple but it was defiantly Pea's day with some nice fish boated to about 70cm with a nice specimen caught and released. It was a little weird getting on the water late and even more so coming home early but we had some nice fish in the bin (around 8) with 2-3 nice ones and that's all we needed so called it a day around half 4. It was another great day in the little fc which I'm really starting to love the room and comfort and even Pea agreed with his first outing. The great thing with small boat fishing it's cheap, easy towing, easy to clean and just about anyone can do it - and you can even get into some decent fish. Another great video Jason. Liked. Just "stalked" you to find out how you keep up this regular feed of great videos. 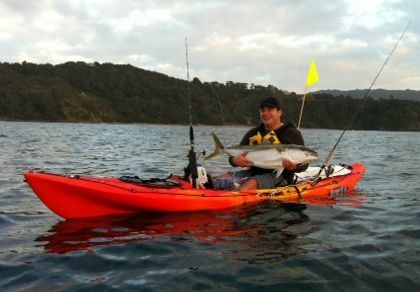 I found the Pure Fishing NZ link and also found a Berkley Aus site (which is a bit out of date with old links that don't work). I don't give a rats about the commercial aspects because what you're doing is great for our sport. And Redfinger at Fish City must be loving your praise of the FC 430. It took a long time for me to pluck up the courage and talk in them - still find it hard to do but thoroughly enjoy it a lot more now. I don't do much else than fish and work so try to get out at least once a week and I also do a couple of 5-6 days far North fishing trips each year where we spend a good 12 - 15hrs each day on the water. We do a few different techniques up there (Surfcast, Soft bait, micro jig, jig for Kings, Kontiki, deep water for reef fish and shallow water strayline) which gives me a good few vids to put together. 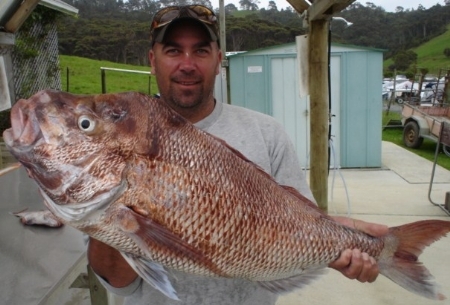 I've gone from Pure Fishing just over a year now as they shifted us South and I did not follow which was a shame as I do love my Penn products - PFNZ went down hill rapidly and once again Pure Fishing has been sold off - they run NZ out of Oz which doesn't help them either. The little FC430 is such a cool little boat and moving into it from our 12ft fyran I can't believe the room in them, it's great to be able to stand up, stretch out and move about more safely. I really do love small boat fishing and my 6mtr Osprey is feeling rather neglected. Thanks for the enjoyment,funny how everyone charges of in the distance when we should really fish on the door step.